The term 78 to describe the record refers to the 78-revolutions per minute it makes around a record player. 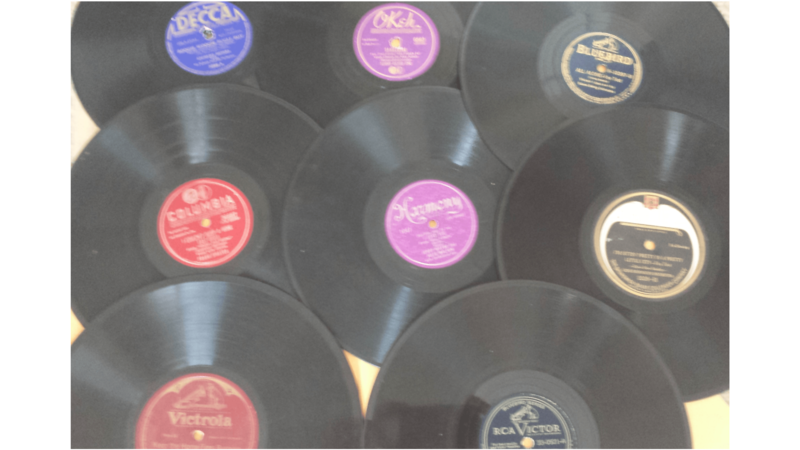 Prior to the late 1940s all 78 records were made from shellac and then dyed a particular color (black being the most prominent but also red and green were popular). However, World War II would have a dramatic effect on the 78 records production.